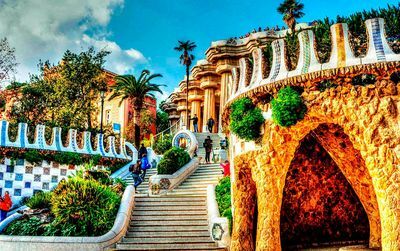 In this short guide, ( PDF Barcelona Quick Guide ) we will try to recommend you the “not to miss” in Barcelona during your short stay and all practical information about the city. 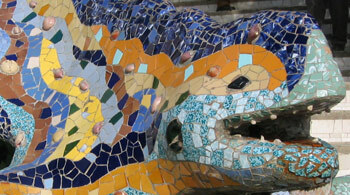 Barcelona is the passionate capital of Catalonia, an unforgettable city of art, culture and beauty. 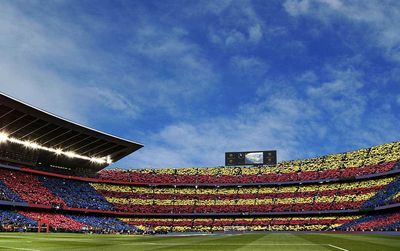 Gaudi's works, museums, monuments and FC Barcelona’s football team homeland. Opening hours: Usually 9.30 a.m. to 1.30 p.m. and 4.30 p.m. to 8 p.m. Monday – Friday with some variations. Many establishments have the same opening hours on Saturdays and some open until lunchtime on Sundays. Shopping centres and many large stores do not close for lunch/siesta. 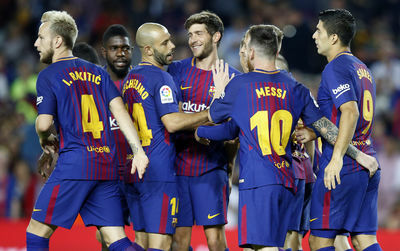 What time is it in Barcelona ? Time in Barcelona is the Central European Time (CET), UTC +1 - Find current time in this page. Buses and Metro: Metro stations are the best way to move around and the fastest way. You can buy a 2 day (11.20€) or 3 day (15.90€) tickets. You can combine the metro with the bus system, and the new "tranvía". Car Rental : If you will be visiting for a few days and have limited time, do not bother renting a car. Otherwise you can rent a car to go outside the city and visit the Costa Brava, Montserrat or other places worth if you have the time and already visited Barcelona. Sagrada Familia : Gaudi's unachieved cathedral. 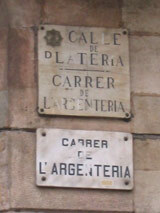 The most visited monument of Barcelona. Our advise: buy skip the line ticket. Santa Maria del Mar : XIV century Gothic Church with famous stained glass windows. Typically Catalan… Often tapas or worker menu (fixed price menu). In the Boqueria market, on the Rambla. Delicious tapas for your lunchtime stop.. In Gràcia, a kind of fast food, but healthy Vietnamese restaurant 9,95 Euro menu! Quality menus that includes wine, or very good bargain restaurants. This restaurant offers 4 different types of kitchens: Asian, Mediterranean, Italian and vegetarian in the beautiful market Santa Caterina. Not to miss. Typical Catalan restaurant specialized in paella and rice.. Very good restaurants… But at the Spanish price!! Vinya Roel is a restaurant enoteca in Barcelona where you can enjoy traditional catalan recipes in combination with a full wide-ranging list of wines. For the ones in love with Gaudi, the unique experience of having lunch or dinner in a building of the Master: La Casa Calvet. Torre Rosa for the finest mojitos and amazing views..
Two steps from the Cathedral at the Gothic Quarter, in a little XVIII palace rebuild with an exquisite taste, the Hotel Neri is a little pearl with only 22 rooms. Some artist have participated to the decoration with big paintings over the beds, giving a unique tonality to each room. Bath rooms at the terraces, library and a Mediterranean cuisine restaurant worth a good meal, all with an extreme refinement. A nice detail: you can rent Segways and bicycles. No doubt! Opened early 2006, this original hotel was an old hospital. The dimensions are therefore unusual with rooms conceived as lofts in an Art Nouveau style, joining iron and apparent stone walls, wells of vertical light, all in a great Asian Zen influence very relaxing. 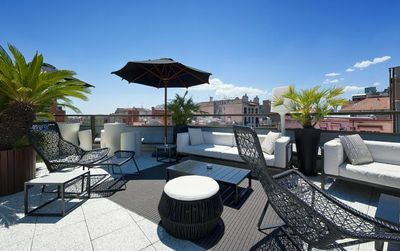 Archetype of design hotels, the hotel has taken its place among the hotels in vogue in Barcelona. It is also ideally placed close to La Ramblas and the Paseo de Gracia. To discover! Very well situated close to Palça Catalunya, this hotel with an austere façade is surprising ones inside. Nice ambiance with brown and beige tones, slick design and confortable and relaxing rooms. We adore the terrace, the pool and evidently the very animated “Jazz Bar”. Watch out with prices, since they vary a lot depending on the season, but they also have very good offers. If you can wait, book it when they show a good price!! At the port, in the Gothic quarter not far from Las Ramblas, this new and little 41 room hotel is very pleasant. Clean and modern decoration, large and silent rooms with large beds, a roof pool and solarium. We appreciate the friendly and efficient personnel, and we love its strategic location to visit the city without too long walks. Check before coming for weekends with big events or congresses in Barcelona. You might want to avoid such weekends in order to find better prices on hotels, fllights, etc. Violent crime is almost unknown in Barcelona, but bag-snatching and pickpocketing are rife – the former especially occurs in the Old City and on the beach, the latter on public transport and along La Rambla. Leave whatever you can in your hotel, and be ware of anyone trying to clean something off your shoulder or sell you a newspaper. Those wanting to swap a coin for one from your country may also try to empty your wallet. how mach taxi fare from airport to NCL cruise ship terminal and how to book taxi for this trip? Please let me know the cost ? Thanks. Si vous ne sortez pas de Barcelone il faudra qu'acheter une T10 valable pour une zone, c'est l'habituelle, qui coute moins de 10€. C'est pour aller dehors de la ville qui'l vous faudra acheter un billet qui vaut bien pour plusieurs zones, mais qu'il n'est pas nécessaire acheter que dans ce cas là. est ce que quelqu'un pourra m'expliquer SVP le systeme de zone de 1 à 6 pr les transports. par ex je veux acheter la T10 mais je sais pas quelle zone c'est quoi la difference ?? promener le long de ces rues ou a la plage ,mais attention...la mairie de la ville n'aime pas les voitures .248 euros pour un mauvais stationnement avec départ a la fourrière .Je dénonce la mauvaise signalisation au places de parking le long de la plage . Si vous allez donc a Barcelone mieux vaut marcher ...c'est mieux pour la santé,et pour le porte monnaie. A boycotter de toute urgence:Chez Micki s au n° 23 de La Rambla. 2 sangrias pour 34,45 euros!!!! Passez votre chemin et faites le savoir autour de vous. Any scuba diving July in Barcelona? Totally worried about going out in the evening. The message is that the Spanish in this city will rob you blind! intéressant, cela vous nous être très utile. Thanks for the great tips! Was exactly what I was needing. Thank you very much for the info. The info is very to the point and informative. I have to take a flight at 9h00 am. I suppose I have to be there at 6h00, sould I take a taxi? Do a bus make it to the airport? Very good brief, useful guide for people visit Barcelona for the first time...Am going there apr 16....look for forward to it! oui impatient d'autant que je ne la connais pas!! à bientôt!